Salon point-of-sale (POS) systems process payments, track customer information, inventory, and sales. They also include salon-specific features that help you manage your salon, spa, or other wellness business. We evaluated dozens of salon POS systems based on cost, ease of use, and features, and narrowed it down to the top six, including the best overall. A salon POS system should treat payment processing as its main function, but there are many other needed features that are also important. The best salon system should help you manage inventory, track customer information, analyze sales data, book and track appointments, and manage employees. We looked at all-in-one salon POS systems that handle payment processing, and those that require you to choose a merchant provider. Price: We looked at monthly fees, hardware costs, and transaction fees. Ease of use: Salon system features should be intuitive for the user. Appointments: You should be able to book appointments from the system, and customers should be able to book an appointment via an app, your website, or social media. Inventory management: We considered the various inventory management tools, such as low stock alerts, ability to add SKUs, and automation. Customer relationship management (CRM): At the very least, you should be able to track customer information, but we also considered CRM features, such as email marketing and loyalty programs. Employee management: We looked at how each salon POS system handles employee logins, time tracking, and payroll. Reporting: Data analysis should be included with your salon system so you can track services, bestselling products, and sales for a day, week, month, and so on. Integrations: If a salon POS system doesn’t have native accounting, appointments, or payroll, it should allow integrations from other software. Taking everything above into consideration, Shedul earns our recommendation as the best overall salon POS system. It’s a completely free software option that includes all the features you could need for managing your salon, spa, fitness center, or other service-based business. You can set up online bookings, manage clients, and track inventory and sales through Shedul. Shedul is a free salon POS system that includes all the features any beauty-based small business needs. In addition to appointment scheduling, you can set up online booking, manage client information, handle inventory management, and track sales. Reporting and invoicing are included, too, and the system is easy to use. As it is now, Shedul is 100% free. All users who have signed up or sign up soon get access to the same features, integrations, and support. Eventually, Shedul will charge fees, but if you become a user soon, you will be grandfathered in and never have to pay for the software. Payment processing is the only thing missing at this point. You can create invoices and record payments in the software, but credit card processing is still in the works. Combine Shedul with Square’s basic free POS for credit card payments, and you’ll only pay the processing fees Square charges. Shedul is the only completely free salon system on our list, and it doesn’t compromise quality of features. The platform has an at-a-glance dashboard, so you can quickly see appointments, client notifications, and sales data. From appointments and client management to inventory management and POS features, Shedul’s features are unmatched for a free product. The Shedul salon solution lets you set and manage appointments for all staff members through a calendar on the cloud- and web-based app. You also have the option of adding a link to your website or social media that takes a client to an online booking page. Alternatively, you can embed an online booking button that opens up the booking page. Confirmation emails are sent automatically when a client books an appointment. After a completed appointment and sale, Shedul sends a thank-you email. Shedul lets you manage your client directories with a bit of automation and manual entry. If you have a walk-in, you can take the client’s name and contact information, and ask for other information, such as birthday, for a discount. You can set preferences for email or SMS notifications, and take notes on a client, such as preferences for brands, skincare, hair color, or any other service or product. Add and track inventory by brand, supplier, product, and category. You’ll have to add each bit of information one by one, but you’ll be able to export lists easily to CSV or Excel documents. Shedul shows you current stock, and you can set up automatic reorders when stock falls to a certain level. Through Shedul, you can track sales by day, along with appointments, invoices, receipts, and vouchers. The analytics section gives you a look at the number of appointments, where they originated, hours booked, and average sales. You can also see what your bestselling items are, and whether you’re selling more services or product, and who’s selling what. Shedul lets you set up commissions for staff members, too. Given Shedul is a free salon POS system, it’s hard to fault it for missing a few capabilities, but there are some glaring omissions. This isn’t an all-in-one system, so you’ll have to find a separate payment processor and hardware. Plus, there are no third-party integrations allowed yet. Custom reports aren’t available yet, like they are with Vagaro. In user reviews online, Shedul gets high praise for being an easy-to-use web app for booking appointments, point-of-sale features, and automatic confirmations for appointments. However, some users have noted that there’s no way to accept a deposit for an appointment, which means they have to find an alternate way of holding clients accountable for no-shows and cancellations. Shedul is a free salon POS system that covers all the features you could need to manage your salon, spa, or wellness business. Track sales, client information, and let clients book their own appointments with you online. Sign up now to take advantage of a forever-free account. Square Appointments is a scheduling app that works well as a salon POS solution. The platform allows you or clients to book appointments online, plus it includes client management tools, syncs with your personal calendar, and provides automatic confirmation and reminder emails. It’s affordable for a small salon, and it includes integrated payment processing. An individual can get Square Appointments as a free salon POS system and only pay for add-on features and transaction fees when using Square as a payment processor. A salon with two to five employees will pay $50 per month, plus lower transaction fees. For a staff with six to 10 employees, the monthly fee would be $90. If your salon has more than 10 employees, you’ll have to contact Square for custom pricing. All users get access to the same features of Square Appointments, whether you’re a solo entrepreneur or you have several employees. Like Shedul, Square Appointments lets you book appointments, view sales reports, send receipts or invoices, and manage inventory. You can also use Square as your payment processor. Square Appointments lets your clients book appointments from your website similar to the way the best salon system Shedul does. Where Square Appointments has a leg up is that you can sync your personal calendar with your salon’s calendar. This automatically blocks time out that you have reserved for personal events or appointments, which prevents overlaps in appointments. As clients book appointments, you can collect information, such as name, email address, phone numbers, and their notification preferences (email and SMS). You’ll also be able to see appointment history and notes on the client, such as names of pets or brands they love. Square Appointments also lets you import clients from a CSV file, which saves you data entry time. Square Appointments includes basic inventory management, so you can add products you sell at your salon or spa easily. Track the products through reports, and get a daily email with low or out of stock items listed. For more inventory control, though, you would need to add Square Retail. Square Appointments includes payment processing as part of its salon POS system, so you can accept payments online or at your store with the Square reader. You can also see sales reports and select details you want to view, such as discounts, items, services, and more. View sales for the day, week, month, year, or any other date range. You can also adjust discounts, taxes, and tips. Plus, unlike Shedul, you can set up a cancellation and no-show policy and accept prepayment for services (a transaction fee for this is higher at 2.9%, plus 30 cents). Square Appointments isn’t salon-specific, so you won’t have an obvious marked section for services, such as massages, facials, hair treatments, and so on. To get loyalty programs, payroll, marketing, or employee management, you’ll have to pay extra monthly fees. Also, Square Appointments can only be used on iOS devices. In Square Appointments reviews, you’ll see good marks from many users for being easy to use and giving salons a prepayment option to reduce no-shows and cancellations. However, the cost of the app is a bit high for some reviewers. Square Appointments is first and foremost a scheduler, but it includes so many helpful features to make this an all-in-one salon POS solution for most beauty-based businesses. If you’re a solo stylist, you can use Square Appointments for free. Have a whole salon staff? Get a 30-day free trial. Lightspeed Retail can work as a salon POS system, and it’s for businesses with sizable inventories that need tracking. You’ll get POS features that let you track sales, items, services, taxes, and more. 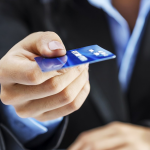 Integrating a payment processor is easy, and you can purchase hardware directly from Lightspeed. Pricing for Lightspeed Retail starts at $99 per month, and you can use it for up to five employees. It’s one of the more expensive salon solutions, more so than Square Appointments and Shedul. You can use the software on mobile devices or desktop computers, and you can purchase a hardware kit with a printer, barcode scanner, and a cash drawer for $699. Payment processing is handled separately, but there are four merchant providers that partner with Lightspeed that you can use. Like the other salon POS systems on our list, Lightspeed Retail helps you hone in on your sales, best-selling items, taxes, sales per employee, and profit year over year. You can customize categories in your inventory, so you can create services for your salon. Additionally, Lightspeed Retail lets you order new stock directly from the POS system. Like other salon POS systems, Lightspeed Retail includes a client directory, which lets you collect contact information and track a customer’s transaction history. With Lightspeed Retail, you can set up promo codes for VIP members. You can even let customers buy and use gift cards in your salon through the Lightspeed Retail system. Lightspeed Retail offers unparalleled inventory control. You can customize items and services, get low stock alerts, and create work orders in the system. It’s easy to bundle items to sell them as a package, which makes this a good choice as a salon system. Also, you can order products directly through the system. Lightspeed imports hundreds of catalogs to its system, so you can reorder with ease. If you don’t see a supplier you use, you can request Lightspeed add it. Lightspeed Retail allows third-party integrations, so you can add sales, taxes, and other data to your accounting program. Track sales, your best customers, busiest times for appointments, and more with the reporting functions. You’ll also be able to manage employees with integrated time tracking and staff reports. Lightspeed Retail is a robust salon system, even if it isn’t built specifically for service-based businesses. The obvious missing element from Lightspeed Retail is the ability to book appointments. You’ll have to find a third-party app, like booxi, a partnered scheduling app. Inventory is meant for products, not services, so you’ll have to customize categories and items to set up your services menu. A loyalty program is offered, but it will cost an extra $59 per month, while Vagaro offers it as a standard feature. For the most part, Lightspeed Retail user reviews show that the software is a popular choice for retail shops, but as a salon POS solution, it’s a bit of a stretch. The interface is easy to use, but setting up things in the back-end can be complex and time-consuming. Inventory management is excellent, and most users agree customer support is helpful. Lightspeed Retail is an excellent choice as a salon POS system if you sell a lot of products at your salon, spa, or other beauty-based shop. You can customize the system to make it work for services, and you’ll get robust reporting features to help you track and manage the life of your business. Try Lightspeed Retail for free. Vagaro is a cutting-edge salon POS system you can use on almost any device, including smartwatches. You get a drag-and-drop appointment calendar, the ability to track customer information, and can send automatic notifications to clients. Vagaro even offers email marketing. You can also use Vagaro as your payment processor, making it an all-in-one salon POS solution. Vagaro starts at $25 per month for a solo user, which is cheaper than both Square Appointments and Lightspeed Retail, but it doesn’t have a free option like Shedul. As you add staff members, the price increases by $10 per user. Regardless of which plan you choose, you get all the same features. Vagaro was made with the salon owner in mind, which is why the salon POS system seems so complete. The appointment calendar is easy to use, and you can set up online booking on your website through Facebook or Yelp, as well as on the Vagaro marketplace. You’ll be able to track client information, send out marketing emails, and run reports on sales, employees, and more. One of the unique aspects of Vagaro is its calendar. It’s designed to allow for multiple staff members and their services. You can reschedule or extend appointments by dragging and dropping blocks, which makes this more user-friendly than Shedul or Square Appointments. Recurring bookings functionality is available, and you can set up your personal time off to prevent overlapping. Clients can book with you online, and you can send automated notifications by email, text, or push notification to remind your client of an upcoming appointment. A feature not seen in most other salon POS systems is the ability to double-book or triple-book, which you can do with Vagaro. You can also set up appointments for classes with multiple students, a feature not available with Square Appointments. All salon POS systems let you track customer information, such as contact details, transaction history, and preferences, but Vagaro takes it a few steps further. Massage therapists and fitness pros will appreciate the ability to add SOAP notes, letting you document what a client mentions (subjective), what a service provider observes (objective), the diagnosis (assessment), and steps going forward (plan). Built into this salon POS system is a form option, which lets you create custom forms for clients to fill out when they book an appointment. These forms can be liability waivers, surveys, or anything else you want them to be, and they’ll automatically save to a client’s profile. If you’re transitioning from one salon POS system to Vagaro, you’ll appreciate the inventory management tools. Vagaro will import your inventory with no added cost, which can save you a lot of time in data entry. Otherwise, add products one at a time. You can also create purchase orders through this salon system, send the order to your supplier, and once you receive the order, just mark it as received and your stock will automatically adjust. Like other salon POS systems, Vagaro lets you track sales, employee sales, customer information, stock, and more. Vagaro is also an all-in-one salon solution with a built-in payment processor (2.75% in-person; 3.5% plus 15 cents keyed-in). You have the option of using a different merchant provider, if you’d prefer, though. Clients can prepay for services, which can help reduce the number of cancellations and no-shows you get. Vagaro includes a payroll service, too, which is missing from most other salon POS systems. Vagaro is one of the most complete salon solutions, as it’s made with service-based industries in mind. However, the integrated payment processor doesn’t appear to be as reliable as Square’s. Although it has a robust system in place for salon owners, its inventory management isn’t as powerful as Lightspeed Retail’s. The Vagaro user reviews online are mostly positive. Salon owners and stylists love how easy it is to use, and that it includes nearly every feature you could want in a salon POS system. Payroll can be tricky, as it only allows you to pay stylists by percentage rather than a dollar amount. Plus, the payment processor doesn’t always work well, which has sent many users toward another merchant provider and credit card processor. 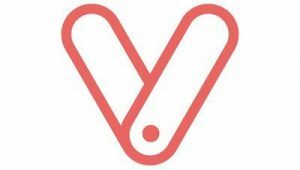 Vagaro is an all-in-one salon solution that takes into account the specific pain points a salon owner faces and solves them. Its advanced features make it easy to manage inventory and appointments. Also, it stays ahead of the curve by making Vagaro available on most mobile devices, including smartwatches. Get a 30-day free trial. Salon Iris is one of the leading salon POS systems on the market because it offers salon-specific features in one piece of software. Appointment scheduling and reminders, online booking, and social media booking all come standard. Reports and an integrated payment processor make this a good, all-in-one solution for any salon worker or owner. Salon Iris offers packages for solo entrepreneurs, small salons, and up to full front desk functionality for a salon with a large staff. Pricing for this salon solution ranges from $29 to $109 per month, plus custom pricing for larger salons. Easily add appointments to the Salon Iris calendar for yourself or other staff members. The color-coded appointment blocks are standard to all salon systems, so you can quickly see which appointments are yours. You can send automatic reminders to clients by text or email, depending on their preferences. Plus, Salon Iris makes it easy for clients to book appointments online. Your Salon Iris account comes with a landing page that you can design with your own branding, which is where the client portal lives. There are two parts to client management within Salon Iris: client side and salon side. From the client side, customers can manage their appointments, store a credit card on file for prepayment and recurring bookings, and update their contact information. Salon Iris includes a section where you can jot down color formulas and preferences, so you can refer to it at a client’s next appointment. If you choose a higher tier that includes the loyalty program, this is where you and your clients will see the loyalty program. You can customize the program to offer loyalty points for products or services. Other salon POS systems, like Square Appointments, only offers a loyalty program as an add-on with an added cost. Salon Iris handles inventory management much in the same way as Square Appointments or Shedul. You add items one by one to the system, along with the supplier and their information. You can set up a low-stock alert and automatic reorder with a certain stock amount. Salon Iris allows you to scan products using a barcode scanner, if you prefer. Like other salon POS systems, Salon Iris offers robust POS features that allow you to track sales, appointments, taxes, clients, and more. The dashboard lets you see your business’ health at a glance with booking percentages, graphs, and total appointments or product sales. In total, there are more than 200 reports to help you gauge your salon’s growth and productivity. Also, Salon Iris serves as a payment processor. You don’t get a choice in the merchant provider, but like Square, you’ll get a free mobile chip reader that works with iOS and Android devices. Salon Iris offers a few different packages that work for a variety of salon sizes and solo stylists. However, to take full advantage of its best features, such as the loyalty program and marketing tools, you’re looking at paying $59 to $99 per month, which is more than Square Appointments and on par with Lightspeed Retail, but inventory isn’t as robust. The interface of Salon Iris is outdated, at best, and it’s a bit cluttered, which reduces its user-friendliness. Most of the user reviews for Salon Iris are positive because the salon POS system is built specifically with the salon stylist in mind. However, the interface is not visually appealing, and that makes it more difficult to use. The payroll function can be a bit confusing, too, some people noted. Plus, stylists are not able to book appointments for other stylists using their own login, which is an inconvenience if a client wants to split appointments between stylists. Salon Iris offers a salon solution for any size salon with features that will keep both stylists and clients happy. Online booking can be done from the included website or social media, or stylists can make the appointment manually. High-tiered packages include loyalty programs and email marketing, making this a good choice for any salon. Download a free 14-day trial. Acuity Scheduling allows salons to schedule appointments, offer online booking, set up prepayments, and offer gift certificates. You’ll also be able to choose from a variety of popular apps and payment processors that integrate easily with Acuity. It’s a great choice for creating a custom salon POS solution. Unlike most salon solutions, Acuity Scheduling offers a free option for solo stylists needing only scheduling features. For $15 per month, a solopreneuer can get the advanced features that are offered at the other tiers, which cost $25 to $50 per month, which is still less than Lightspeed Retail, but costlier than Shedul. Like any other salon POS system, Acuity Scheduling lets you set appointments yourself. It also puts the power of booking online in your clients’ hands. They can see your available times on your website and request an appointment. Automatic email reminders are sent, and if you choose a higher tier, text reminders can be sent, which reduces no-shows and cancellations. Additionally, you can sync your personal calendar with Acuity Scheduling, like Square Appointments, so you can block out personal time and not get overbooked. You can drag and drop appointments when you need to reschedule for another time or date, too. If you already have a client list, Acuity Scheduling makes it easy for you to import them using a CSV file, and you can export, too. Add details to each client profile, including contact information and notes on preferences, and attach intake forms that clients have submitted. You’ll be able to see past and upcoming appointments for each client. The reporting function in Acuity Scheduling is basic, so you’ll be able to see appointments, no-shows, cancellations, sales by revenue, staff reports, and add-on reports. While there isn’t a built-in payment processor, you can integrate Square or Stripe payments, so you can accept prepayments or payments at your salon. When it comes to booking appointments, Acuity Scheduling is a solid salon system. However, there is no inventory management. You’ll have to use the add-on function as a workaround to get products in the system to sell and track them through the program. Acuity Scheduling gets good marks in most Acuity user reviews because it’s an intuitive program that offers robust scheduling features. Where it lacks functionality, it mostly makes up for in integrations. However, some users aren’t happy about the lack of phone support and that it isn’t customizable without having serious tech knowledge. Acuity Scheduling may be your best option for a salon POS system if you’re primarily interested in its booking functions. Integrations will help extend functionality of this program, though. Get a free trial today. A salon POS system should combine the most-needed features of any salon owner or stylist, such as scheduling, online booking, client and inventory management, and payment processing. You have a lot of options when it comes to cost, as there are free salon POS solutions and pricier programs that offer more robust reporting and inventory management. You’ll find Shedul has most, if not all, of the features you would need from the best salon POS system. Scheduling and online booking, client management, inventory control, and POS features are just a few of the salon-specific features you’ll get for free. The forever-free offer is for a limited time, though. Sign up for your account. Square Appointments now free for individuals! Free Online Booking Software for Individuals!